Here in Texas we have already had a couple of humid above 90 days welcoming us back to Summer. And with school ending in two and a half weeks, it is time to start thinking about fun ways to cool ourselves down this summer. 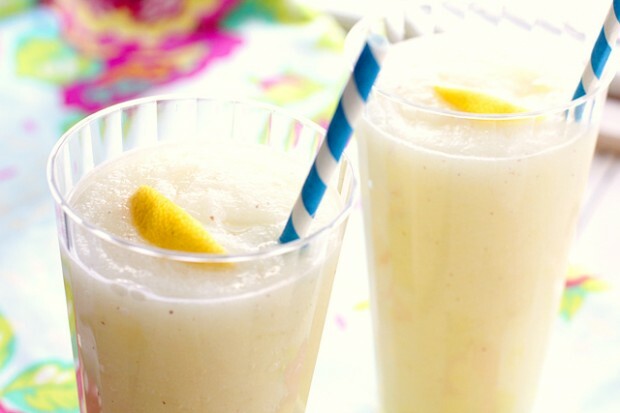 Cheeky Kitchen shared a recipe for this Iced Lemonade, which I think looks more like a lemonade icee or smoothie. And with four simple ingredients it is definitely going on the must make list this summer. Oh my word, this looks SO good! I am sooo gonna make this! Yum! Sounds yummy, I know my family would love this! OOh yum. This is perfect for summer!